Choose from any of the varied necklaces from short and sweet to long and dangly. Rectangle shaped Turquoise beads with sterling silver spacer beads and silver plated rectangle accent bead. 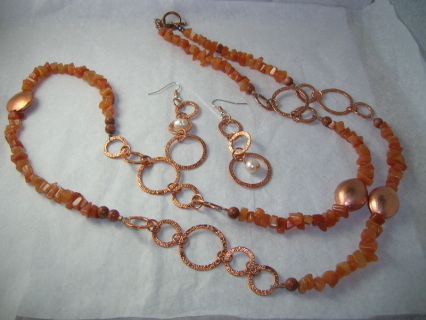 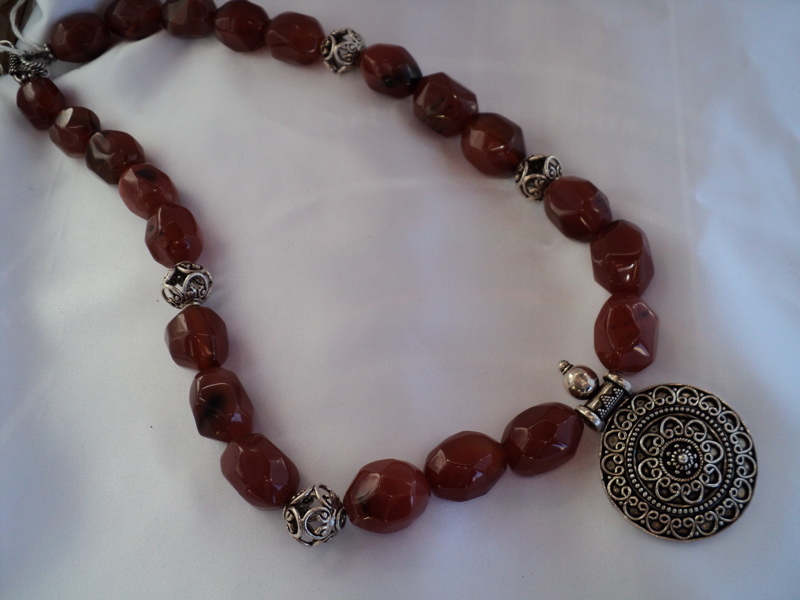 Faceted carnelian beads, sterling silver spacer beads & toggle with sterling silver Turkish pendant. Swirl heart glass necklace hangs from 17" cord. 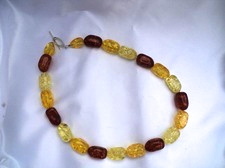 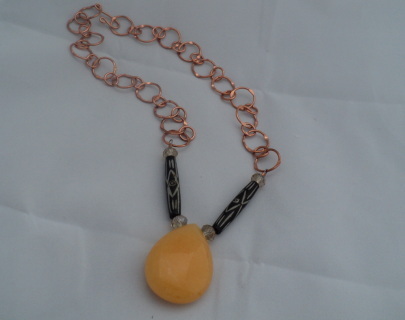 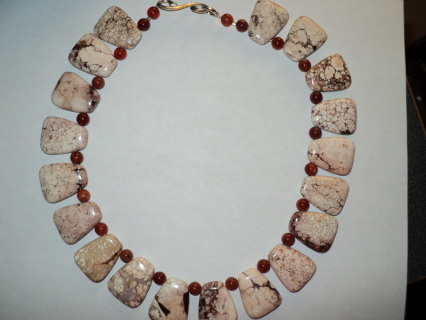 Three different shades of natural amber on one necklace. 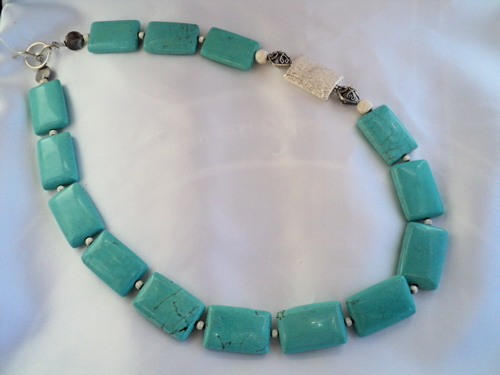 Sterling silver toggle. 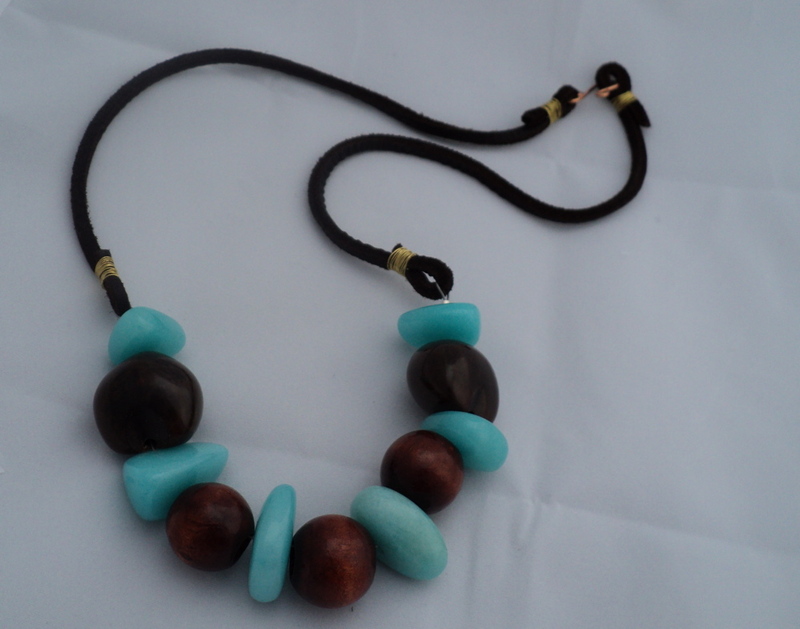 Aqua blue dyed jade necklace wit wood and nut seed. 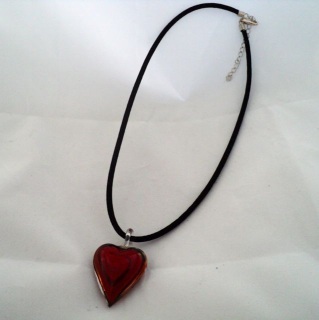 Leather strap with copper hook closure. 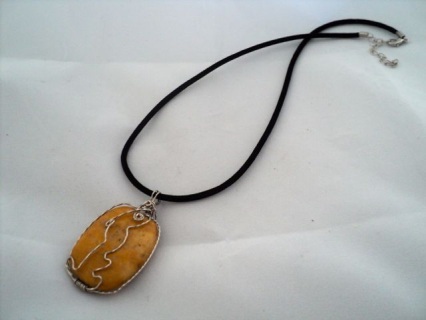 Approximately 25" long. A little army of earth tone beads march along this cord necklace. 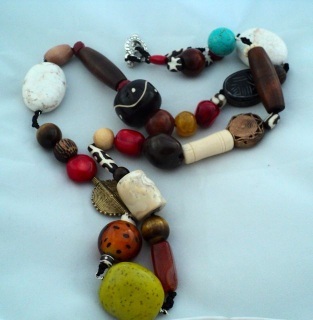 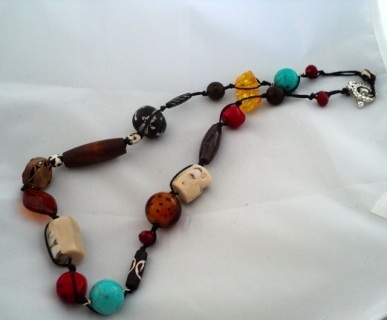 Brass, wood, coral, amber, turquoise and more. Pewter toggle. 30" long. One of a kind. 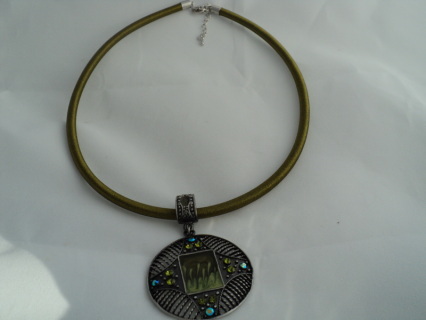 Metal pendant with various stones on green choker neckband.